All great boxing movies have to start with the protagonist being or becoming an underdog. 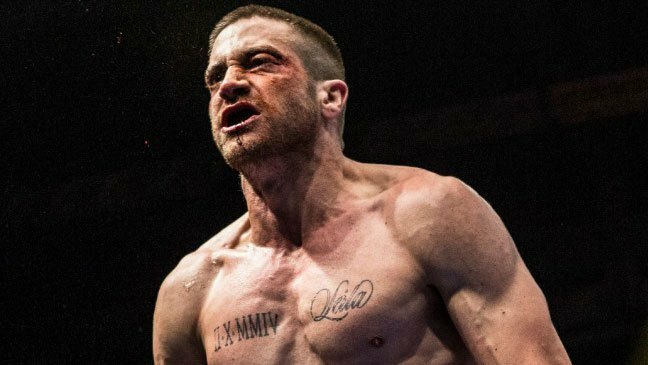 In the case of the Jake Gyllenhaal-led film Southpaw, it’s the latter. Billy “The Great” Hope (Gyllenhaal) is the reigning Junior Middleweight Champion whose unorthodox stance, the so-called “Southpaw,” consists of an ineloquent, though brutal, display of offensive fighting. With a beautiful family, home and financial security, Billy is on top both in and out of the ring until a tragic accident leaves his wife dead and sends him into a downward spiral. This leads Billy to dabble in drugs and alcohol, which later causes him to lose his daughter to Child Services. His fate seems sealed until a washed-up former boxer named Tick agrees to take the bereaved pugilist under his wing so long as he agrees to his strict ethos. Relentless and utterly committed to a fighter that thinks as much as he throws punches, Tick rebuilds Billy into a new man: one that is agile, fearsome and uncompromising in the ring while thoughtful, loving and disciplined outside of it. You can view the first trailer for Southpaw, which features previously unreleased music from Eminem, below. The film opens nationwide July 31, 2015.